Inviting emerging and professional artists to gather and share their practice. Monthly, informal meetings will take place in the stimulating environment of the beautiful Laois Arthouse Gallery space, with the intention of developing a network of support for artists working in any discipline. A chance to discuss work, ideas and inspiration with fellow creatives for advice and feedback. The Laois Arthouse Collective aims to explore the potential for further opportunities, whether broadening the scope of your practice and making new connections, sharing knowledge, seeking assistance with funding applications, or taking part in exhibitions and residencies. Since its establishment in 2011, The Laois Arthouse has provided studio space to a succession of artists and, through its varied arts programme, continues to build this growing community. 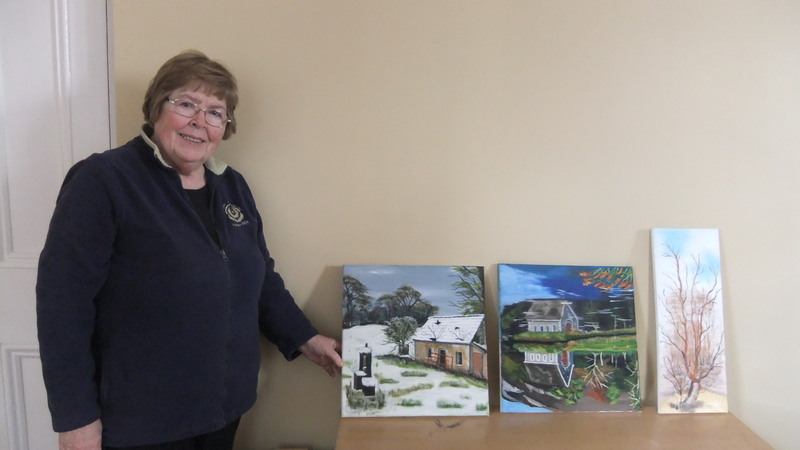 After a nine-month tour,the Laois Arthouse hosted the finale of the ‘Townscape’ exhibition, by Mary Burke, from January 15 to February 22. 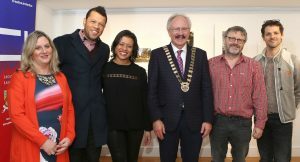 The event was opened on Saturday, January 26 at 3pm, by Justice and Equality Minister Charles Flanagan. 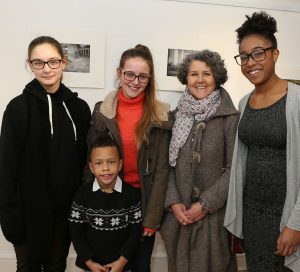 A short film about the exhibition was screened, documenting local school children engaging with the exhibition under the direction of Curator,Jenny Papassotiriou and a keynote address by Professor Mary Corcoran. 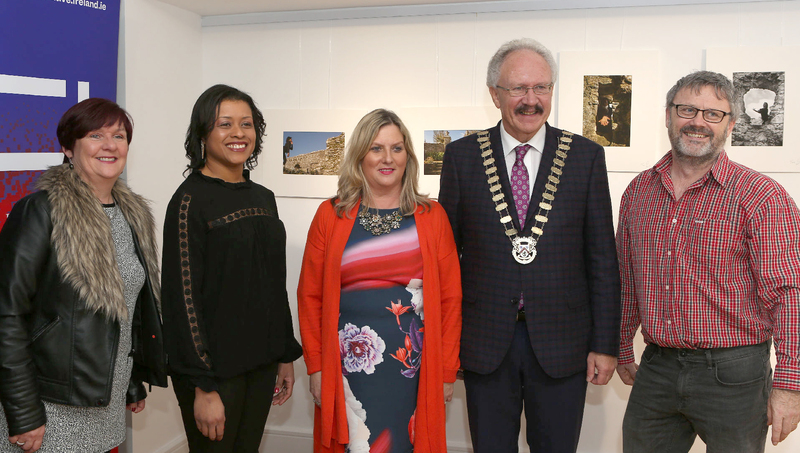 A special exhibition to celebrate culture night titled “The Stradbally Six” opened recently at the Laois Arthouse Gallery, Stradbally . The exhibition title is based on how these six artists have come together to live and work in this creative space which historically was a courthouse and jail. 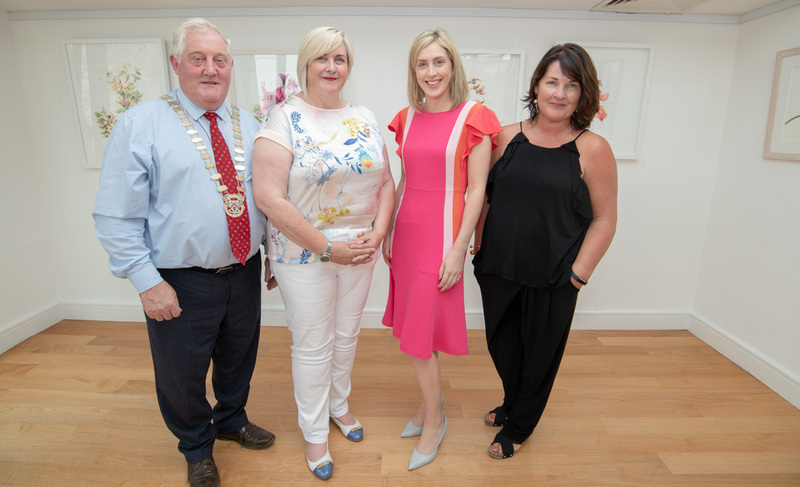 The exhibition was officially launched by botanical artist Mary Dillon who recently facilitated a weeklong botanical art course at Laois Arthouse, as part of the Summer Arts Programme. The exhibition includes selected work by resident artists who have sojourned recently or are currently in residence at the Arthouse Studios. 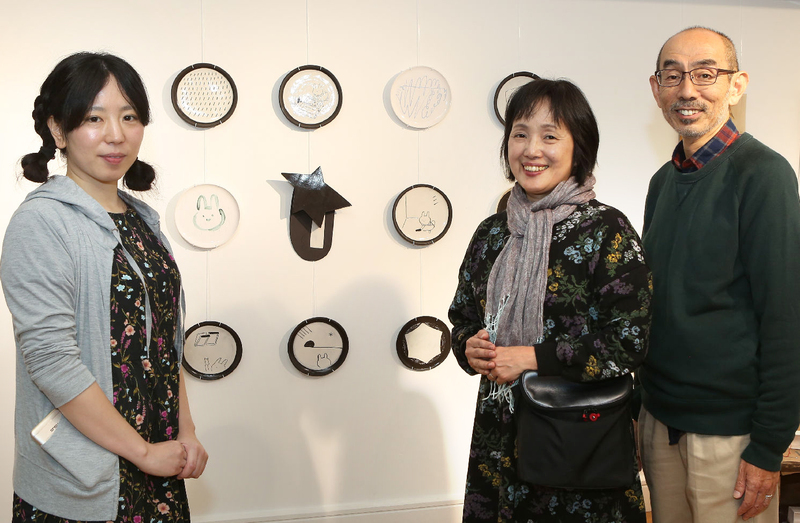 The artists include; Maria O’Brien from Tipperary, Caroline Keane from Portlaoise, David Tully from Dublin, Jen Donnery from Laois, Eriko Yano from Japan and Cathy Whelan from Kildare. 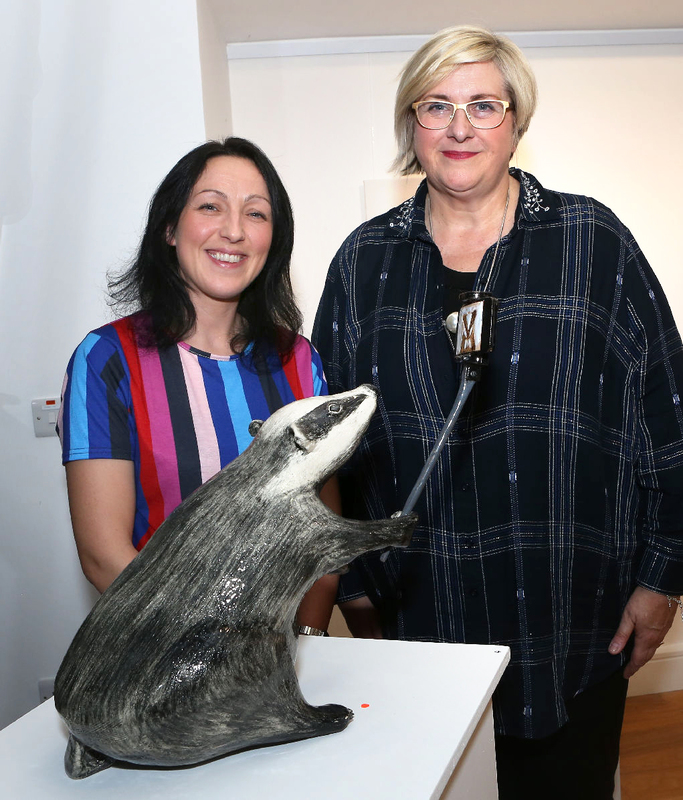 The exhibition will include a rich and varied mix of work include paintings, ceramics and film, by the artists who have utilised the creative space of the Arthouse to complete some of the work in the show. Maria O’Brien – MFA 2010 and BA Fine Art, 2003 NCAD, Graduate Diploma in Art Education, 2005, LSAD. Themes in the work: ‘The starting point of my work is the figure in landscape. I paint from photographs mostly of people at leisure. I recognise a collective romanticism or yearning for the experience of the sublime or adventure. 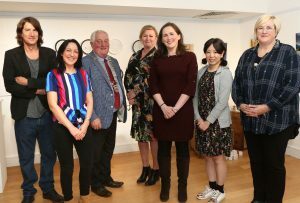 Maria is the recipient of the Laois Arts Office Tyrone Guthrie Bursary 2018. Caroline Keane is originally from Portlaoise and studied Fine Art in the Limerick School of Art & Design, specializing in Sculpture and Combined Media. Currently her art practice is based in Laois where she also runs her own series of Art classes, community events and festival commissions. Her work investigates the role that cultural contexts play in an individuals’ experience of loss. Her practice explores behavioral displays of mourning, which are often culturally defined and the role in which heritage plays in an individual process of grief and mourning. These unique and emotional expressions are compared and displayed through a mix of media. Eriko Yano – Born in Takamatsu, Kagawa, Japan. Eriko has a BA in Department of Industrial, Interior and Craft Design, Musashino Art University, Tokyo, JAPAN (Ceramics course) and worked as a research associate in Musashino Art University, Tokyo, Japan. She now lives and works in Dublin and in on a three month residency at the Laois Arthouse. Solo Exhibitions include: “eigo-no-daimei” Gallery Nenohoshi, Daikanyama, Tokyo, JAPAN and “A next of the next” Gallery Ruvent, Tokyo, Japan and she has exhibited in numerous group exhibitions in Japan. 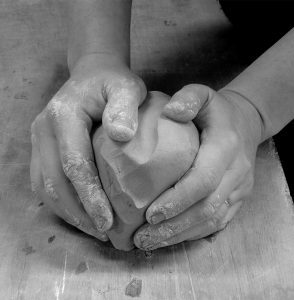 Cathy Whelan is a Ceramic Artist and Educator. A graduate of the National College of Art and Design, Cathy’s practice explores behaviour and emotion. Cathy’s work has been exhibited as part of a group show in Gallery Zozimus, Dublin and as part of a collaborative exhibition in NCAD. Her current body of work investigates the effects of technology on our daily lives. It questions the pressures exerted by a modern digital culture and how this impacts our connection with the natural world. For more details contact T: 057 8664033 E: artsoff@laoiscoco.ie. 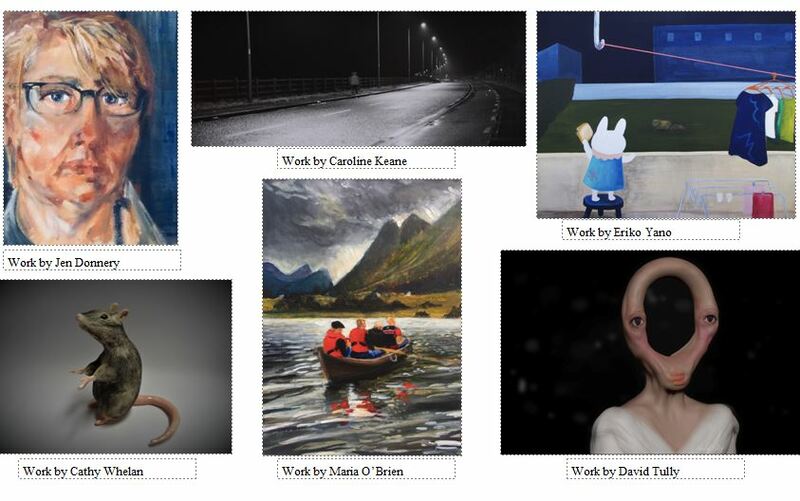 On Culture Night Friday 21st September for extended hrs from 5pm-8pm to showcase the work. 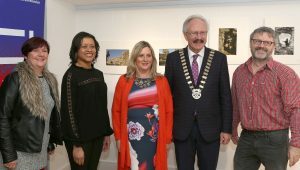 The Laois Arthouse Gallery, Stradbally, Co Laois recently hosted an exhibition by Tipperary based artist Mary Dillon who specialises in botanical artwork. 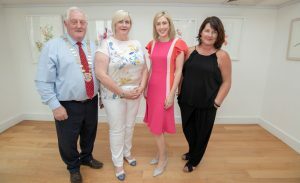 Officially opened on Friday 6th July at 4pm by Laois fashion designer Heidi Higgins. The exhibition included work created by participants on a botanical painting course led by artist Mary Dillon at the Arthouse that ran from 2nd to the 6th July. In the exhibition, At the Heart – Botanical, Mary Dillon takes up the challenge, breathing life, movement, heart and soul into her intricate plant portraits. Dillon is a contemporary artist who pushes the boundaries of botanical art in new and exciting ways. 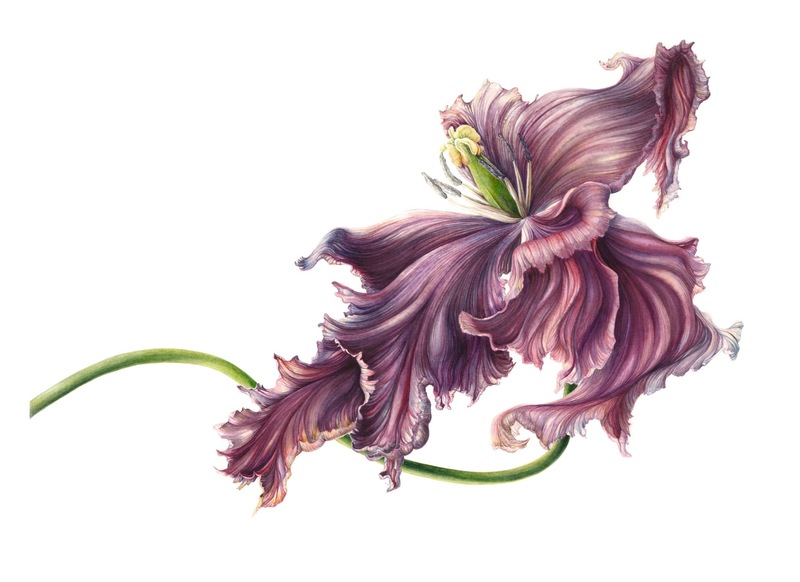 Mary is an award winning botanical artist who exhibits her work internationally, most recently in Madrid where her work features on the cover of Tulipa Tulipae, a publication by Real Botanico Jardin, Madrid. Mary recently received the Anne Marie Carney Award and the Jean Emmons People’s Choice award at the ASBA (American Society of Botanical Artists) exhibition in San Francisco. She has been awarded Gold Medals and Best in Show in Botanical and Floral Art at Bloom, Dublin. Mary has recently joined the teaching team at the Chelsea School of Botanical Art in London. She finds teaching botanical art the perfect opportunity to bring together her three passions of painting, plants and working with people. Saturday 9th June promises to be a fun and illuminating day in Stradbally, Co Laois. It kicks off at 2pm in the Laois Arthouse with an exhibition entitled ‘Illustrating Joyce’s Finnegans Wake’, by Thomas Mc Nally. Laois artist Thomas McNally has been working on interpreting Finnegans Wake for the last seven years and has published two books of his illustrations with The Lilliput Press (in 2014 and 2018). Both of these books are illustrated editions of the two fables that appear in Finnegans Wake. 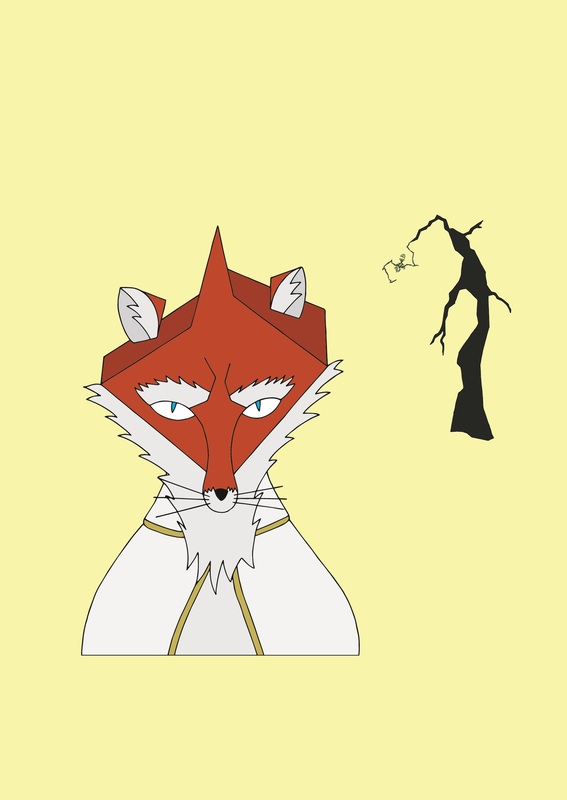 The first is The Ondt and the Gracehoper, Joyce’s re-telling of Aesop’s ‘The Ant and the Grasshopper’; and the second is The Mookse and the Gripes, Joyce’s version of Aesop’s ‘The Fox and the Grapes’.The exhibition at the Arthouse in Stradbally will consist of McNally’s illustrations of these fables. The drawings and paintings on display will offer visitors a unique perspective on the often bizarre – but always hilarious – world of Joyce’s later writing. McNally’s illustrations strive to capture the humour that is at the heart of Finnegans Wake, and his child-like and colourful illustrations make Joyce’s literary achievement accessible to a much wider audience. Finnegans Wake is the final novel by James Joyce and is considered to be one of the greatest achievements by any writer in the twentieth century. But since its first publication in 1939, readers have been perplexed by Joyce’s strange and experimental use of language. While Joyce continues to be celebrated as Ireland’s most remarkable writer owing to the success of his other books such as Dubliners and Ulysses, his final novel remains a neglected and poorly-understood masterpiece. The books and illustrations are for sale. 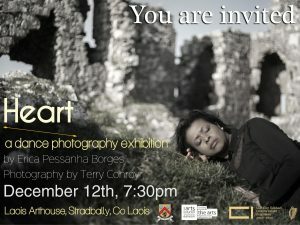 The exhibition runs until the 29th June at the Laois Arthouse. Thomas McNally is an artist and philosopher from Portlaoise. His philosophical publications include the book, Wittgenstein and the Philosophy of Language (Cambridge University Press, 2017). He has published two books of illustrations, both with the Lilliput Press: The Ondt and the Gracehoper (2014) and The Mookse and the Gripes (2018). The opening will be performed by Emmet Byrne. Emmet is a proud Laois man from Ballyroan. 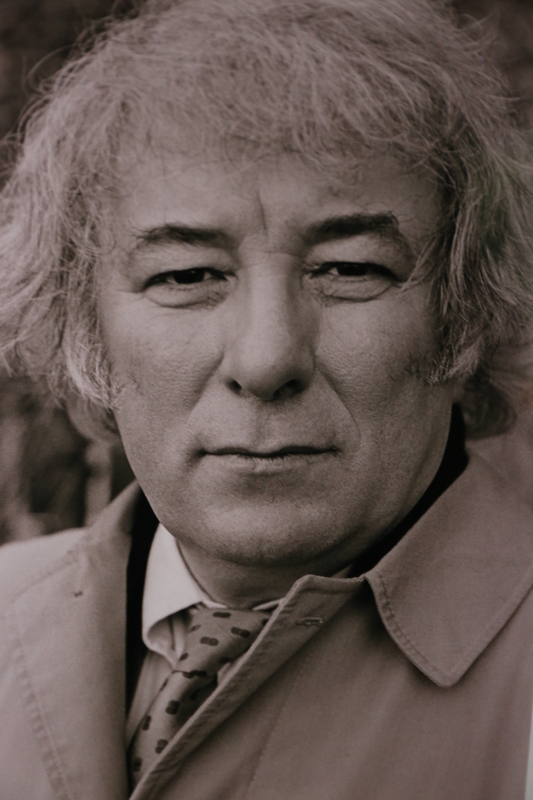 He attended both the Ballyroan Boy’s National School and Heywood Community College. Emmet started acting at 21 in the Drama Society in NUI, Galway and completed a MA in Drama and Theatre in 2012. He moved to Dublin to pursue a career and since has acted on stages around Ireland including: The Lime Tree in Limerick, Town Hall Theatre in Galway, The Abbey, Bord Gáis Energy Theatre and The Gaiety in Dublin, and The Royal Opera House in Belfast. Most recently he starred as Sean Bourke in Cell Mates at The Hampstead Theatre, London. He also recently starred in RTÉ’s Striking Out as Ray Lamont. Simon Carman lives and works in County Fermanagh. 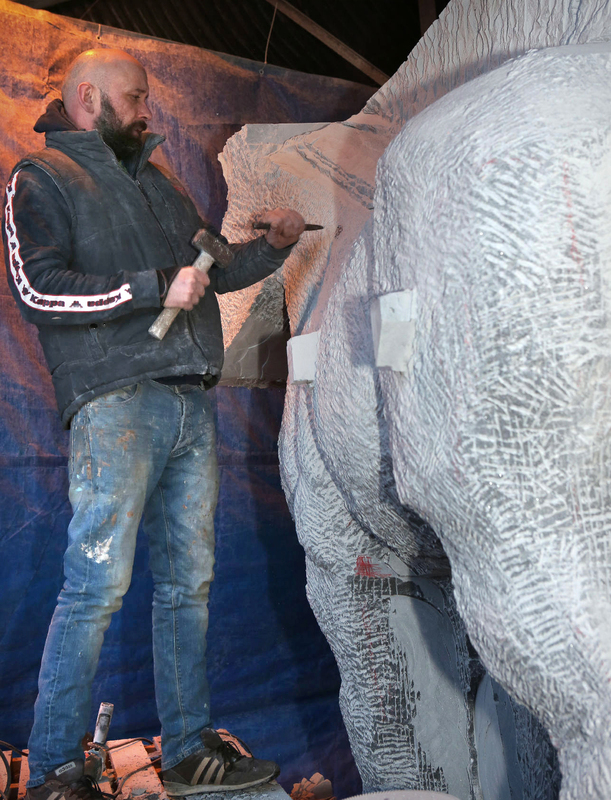 As well as producing his own work, Carman is well recognised for his casting and carving skills and is often called upon to fabricate work for some of the country’s most recognised artists. Simon grew up in Dublin and has worked as an artist professionally all his life, following in the footsteps of his mother the recognised sculptor Cathy Carman, who hails from Co Laois. He attended Glasgow School of Art studying for a BA Hons in Sculpture following a foundation in Art at NCAD. He has worked in professional foundries such as Callow Bronze Foundry in County Mayo as well as setting up foundries and working for many years with the Leitrim Sculpture Centre. Following the tour of Invincible Spirit, Simon will give a talk and slide presentation, at 5pm the Laois Arthouse. Refreshments will be served following the talk. The Stradbally group has been established for four years. It is an open and inclusive organisation who aim to support and empower retired and semi-retired individuals in their community through a wide range of activities and new members are welcome to join at any time. To celebrate the launch of Bliain na Gaeilge and Seachtain na Gaeilge, the Laois Arthouse, Stradbally, Co Laois, hosted Portráidí Óir agus Portraidí eile by Pádraig Ó Flannabhra from the Wednesday 21st March at 1.30pm. 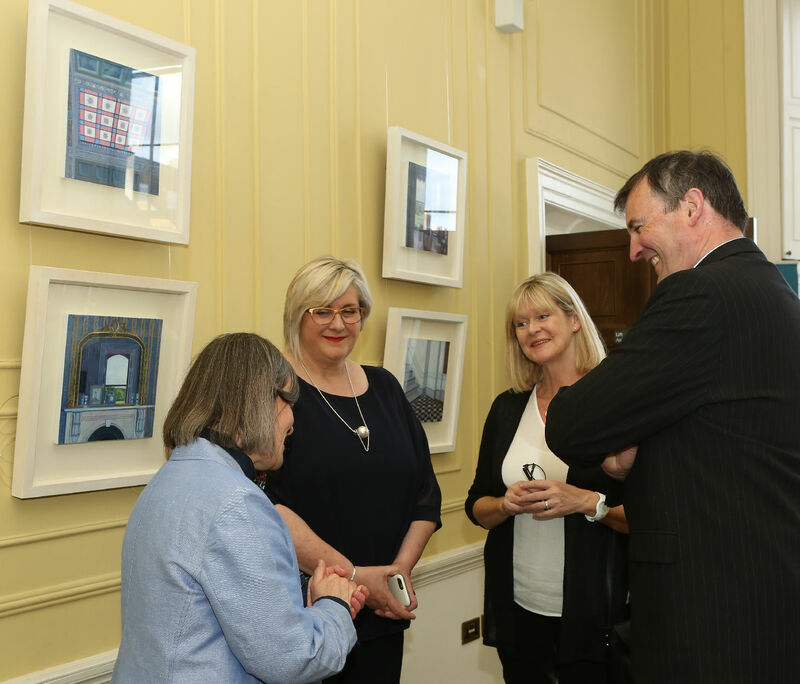 The exhibition was launched by poet and writer in Residence for Kerry County Council Annemarie Ní Churráin. Pádraig Ó Flannabhra has been a Photographer for most of his life and a full time professional since 1984, when he established his Photoart Studio, specializing in Portraiture, Landscape and Press work. He has exhibited widely in Ireland and abroad, notably in the UK and at the ‘Festival Interceltique de Lorient, France, winning many awards for his creative work. The title PORTRÁIDÍ ÓIR’, not only reflects his love and support for our first language but, the exhibits also includes 10 Gold Portrait Awards, which he was presented with from 2004 onwards by Kodak. 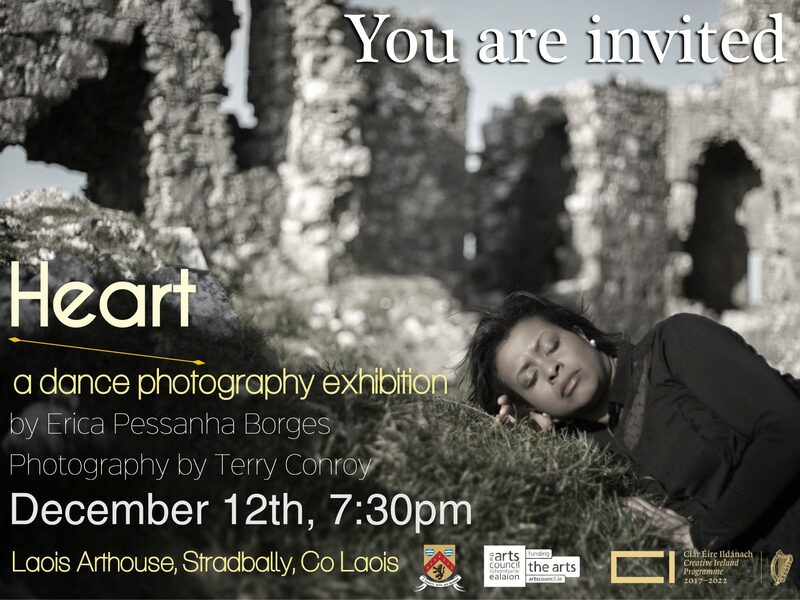 The Stradbally showing of his work was the first time the Gold Award Portraits will be exhibited together in an exhibition. .
Tuesday 12th December saw the launch of “Heart”, an exhibition of photographs by dance artist Erica Borges and photographer Terry Conroy at the Gallery. A great crowd attended to celebrate the launch. 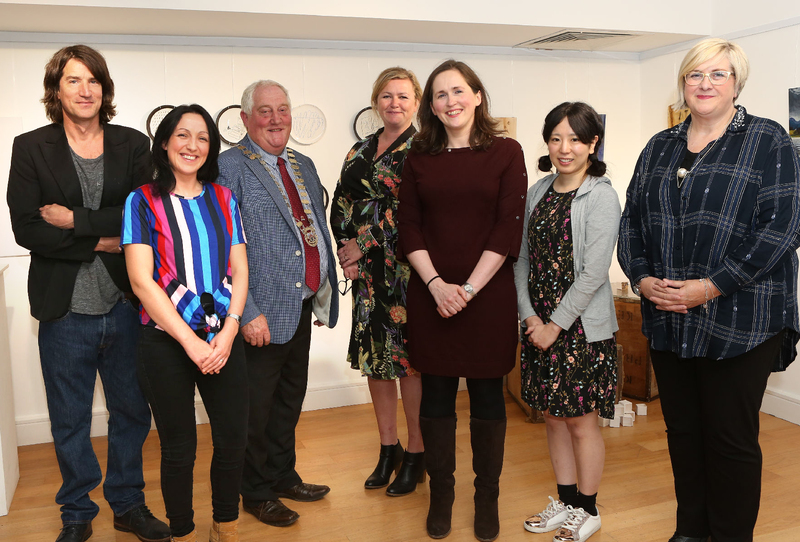 The project was funded through the Laois Creative Ireland programme and brings to an end, a year of imaginative and creative projects overseen by the Arts and Heritage Sections of Laois County Council. The exhibition was launched by of Alexandre Iseli of Iseli-Chiodi Dance Company from Tipperary and it will run until Friday 26th December.